I was eight years old when I saw the movie ‘Mask’ (the one with Eric Stoltz, not Jim Carrey) and that’s when I became serious about collecting baseball cards. Which is when I really started to geek out over numbers. I spent hours with my cards. Organizing them by team. Then by year, and soon by brand. Over time I moved from shoeboxes to specifically designed boxes, and on to sleeves and individual cases for the really important-sometimes valuable, cards. But mostly, the time I spent with my cards, was spent reading the stats. 24–4, 1.53, 16, 8, 276, 268. I knew that line before I could remember the order of the months or the birthdates of my immediate family. 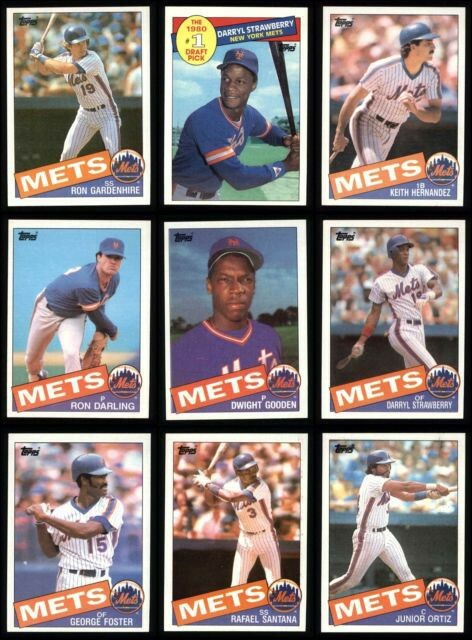 Oh, that was Dwight Gooden’s line for 1985. Basically, I was studying Baseball-Reference.com before Al Gore created the internet. From there, I graduated to playing Hardball on my Commodore 128. The thing is, Hardball!, as great as it was, didn’t record statistics. So I had a three ring binder where I kept box scores for every game. Which was probably insane. There was only two teams, the Champs and the All-Stars. I was always the Champs, and DeSoto was my guy. So, in my handwriting that would make a doctor cringe, I spent endless hours filling out box scores. And even cumulating year end stats. And I loved every minute of it. I’d give the last few strands of hair on my head, just to have that three ring binder back. Then what really shook my world, was my introduction to fantasy baseball. Stats on stats, drafts and trades. It was mind blowing. And I’ve been playing, almost every year, since I was 12. While I wasn’t ever a great student, I enjoyed math, simply because numbers were one of my favorite aspects of sports. In truth, I think I enjoy the numbers and the stories more than the games themselves. And with years of therapy, and psychoanalyzing myself, I’ve come to realize that numbers provided some sort of order to a relatively chaotic childhood. So rather than believing in God, or luck, or karma. I’ve believed in numbers. I haven’t always followed the numbers, but I’ve always been aware of them. I knew a college degree would greatly increase my earning potential, but I went another way. From an early age, I knew all about saving money and investing. Yet, I usually went another way. As the years went by, the statistics in sports changed. They evolved. From batting average, slugging percentage and earned run average in the 80’s to OPS, Whip and WAR. Then even Hollywood embraced it and made it look cool to everyone else. Not only did they make a movie about this world, they used two time winner of People’s Sexiest Man Alive, Brad Pitt. Stats were everywhere. Personally, it made complete sense, that even without a degree, I ended up working as a data analyst. What were the odds? But I’ve been noticing something lately, and it makes me uncomfortable. The numbers in sports, that I used to derive my greatest pleasure from, are having an influence on the games that I just can’t seem to embrace. ‘Moneyball’ was all about combing through data to find an edge, and to use an unorthodox approach to fix a problem. It was a beautiful blend of logic and creativity. But lately, it’s starting to feel like the creature from Frankenstein. I want sports to evolve, just like anything else in life. But that progress now feels like it has taken on a life of its own, to the point that the games seem only like cousins of the games I grew up watching. When the Royals took an aggressive approach to using their bullpen, it felt inspired. I even had conversations with friends around the idea of completely changing how a team manages a pitching staff. Maybe it was time to move away from the 6 inning starting pitcher, who pitched every five days and instead have him pitch 3 innings every two days. Less than five years later, and we’re already seeing teams start games with using their best reliever for the first inning. Or the guy who used to be a reliever. Teams started using the shift all the time, and while I still think that practice could be ended, if a slugger would just drop an occasional bunt down the third base line, it’s taking over the game. But what bothers me most, in baseball anyway, has been the change in how hitters approach the game. Here’s where I sound like every dad, in the history of the world, but when I grew up….a batter who struck out 100 times in a season, had something he really needed to work on. Let’s look back at 1985 again, and in the National League, 11 guys struck out at least 100 times and the league average per 600 plate appearances was 84. In 2018, 74 guys struck out at least 100 times and the league average per 600 plate appearances was 136. Only three guys struck out 136 times, or more, in 1985. The flipside of the increased strikeouts, has been that the number of home runs has skyrocketed. From an average of .73 homers per game in 1985 to 1.10 homers per game in 2018. And that’s the National League, which has always been the less hitter friendly league. It’s not just baseball. In 1985, the average NBA team made .9 three pointers per game, and today they make 11. 1,000%. And in football, in the first 65 seasons of the leagues existence, there were 11 seasons in which a quarterback threw for 4,000 yards. But since that magical year, in my world, it has happened 151 times, and 79 of those have come since 2010. All that, that’s just sports. Fun and games, literally. Big business, but the business is fun and games. Where I feel that statistics have really taken over, is politics. While nearly 63 million Americans voted in the 2016 election, the experts say that the results really came down to just five counties. So while Hilary Clinton received 2.86m more votes, Trump won. The analyst in me can appreciate it on one level, but the human in me is completely disgusted. And that’s not to say that President Obama’s campaign didn’t do an outstanding job in the same way, it’s just to say that the monster is alive. I just wish there was a way to Make Stats Fun Again.